With the calendar turning to October, the release of our new record Rally Cry is just around the corner. In the weeks leading up to the release, we’ve been trying to have as much fun as we can sharing our new music with everyone. 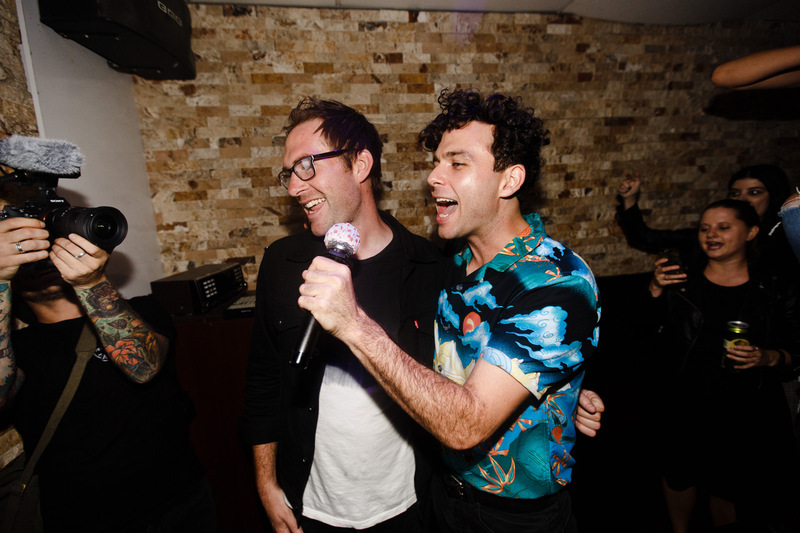 Last week we took over our favorite Toronto karaoke bar to scream sing our hearts out and hangout with some of our Toronto friends and fans – in the spirit of our new song Only For a Moment. We captured some of the footage and will continue to share it with everyone who wasn’t there. It will be just like being there, except you have to listen to Britney Spears. This week we opened up our American Screams hotline. Feel free to call in (1-888-426-8856) and listen to American Screams, another new song that will be a part of Rally Cry. You can also leave us a message if you have any questions/complaints or set requests. We’re also looking for some new moves in the kitchen – if anyone has any great fall recipes, please do call in and share them with us. We’ve got one more song to show ya before release day so keep your eyes and ears peeled for that in the coming weeks as well. In addition to the song teases, we’ve been training hard to get these new songs road ready – lots of pushups, long-distance running and carb loading. We debuted Relentless at Bumbershoot in Seattle last month and will be debuting a few more songs from the new record when we hit the road with St. Lucia stateside in a couple weeks. We are going to be all over the USA, UK and Europe this fall. We will be announcing more dates in both Canada and the US for 2019 in the near future. And due to technological advances available to the band, all Rally Cry tour dates will be presented in 3D (no glasses necessary). Enjoy the beginning of fall and hope to see and hear from you all soon!